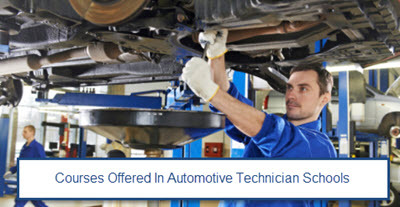 Automotive technician schools are becoming highly demanded in all corners of the globe. That is as a result of increasing levels of technology and related benefits in the modern day world. Job responsibilities of the technicians who have skills and knowledge in Automotive have evolved, right from high-tech jobs down to mechanical repair jobs. Many automotive technician schools offer degree programs, diplomas, certification programs, and associates programs with the cutting edge training that learners need to undergo. The practice allows the students to be able to diagnose and repair automobiles today, tomorrow and further on. 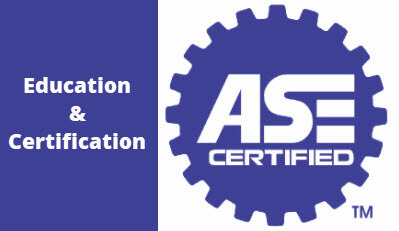 Schools are continually setting higher and higher standards of academic excellence in the automotive field. This is done by employing modern teaching and practical methods to equip their learners with automotive knowledge. Some of the courses are broad but, in being broad, they also envelop other smaller courses together. For instance, schools have the following colleges with their corresponding classes as given below. The schools... ...are always equipped with instructors who are well qualified to design a curriculum that will assist in the success and realization of stated objectives. The instructors bring real life experience to the class. They share the same passion in automobile field just like a student does. For all of the above courses and training, the best programs are found in community colleges and vocational schools. Some of the courses such as Vehicle Repair and Technology Training take 6-12 months. The courses in vocational and trade schools, majorly focus on hands-on learning. On the other hand, community colleges offer preparation in science, math and other courses with stints in training facilities. The community college programs take on average 24 or more months, depending on school modalities. Unlike in the past, where automotive repair and maintenance skills were learnt through 3-4 years of apprenticeship, today there are increasingly complex components of automotive and fuel technologies. This increase in complexity, has called for post-secondary training to be a critical aspect in finding work in the auto industry. Any experienced technician looking to expand his or her knowledge or take the fast track to level technician jobs can quickly benefit from education opportunities that are being offered by automobile manufacturers and technician schools. Volkswagen, Jaguar, and Porsche, have developed advanced program options for graduates in technical training areas. Automotive Technicians use knowledge in electronics, technology, and physics alongside computer software and diagnostic tools in the process of analyzing and repairing automotive problems; and in performing general evaluation and maintenance practices. The schools equips technicians to employ a variety of hand tools such as flame cutters, pneumatic wrenches and grinding machines in fixing, replacing and tweaking of multi-functional parts. The rate of expansion of advancement in electrical and technical components, as well the introduction of alternate fuel technologies has facilitated evolution in these critical fields. One should join a school that is fully accredited to offer training in this area. This post is abut sharing information about the subject, there isn’t any institute we recommend here so I don’t know really what you are referring to.